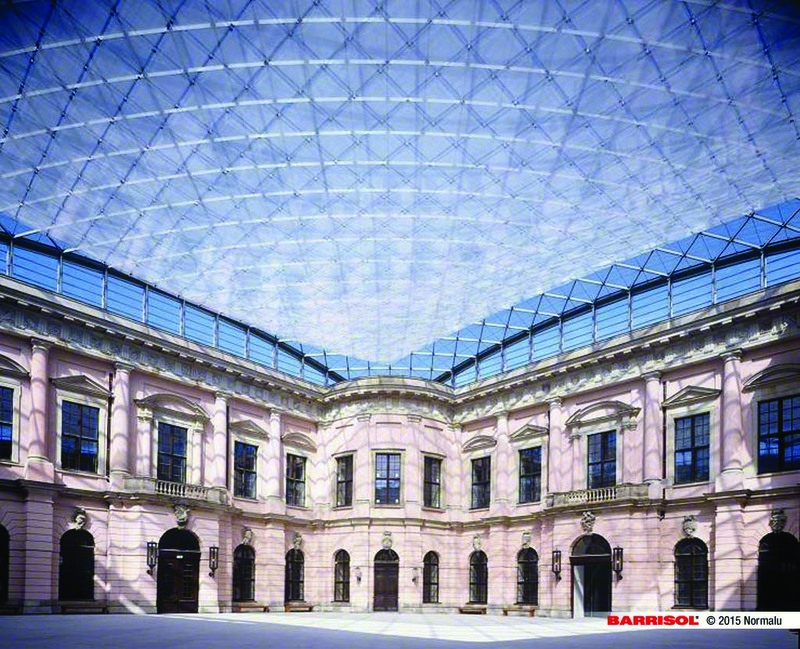 MICROSORBER® by Barrisol® is an innovative sound comfort optimizer reducing sound reflexion thanks to the use of a micro perforated foil. As soon as sound waves strike the microperforated surface, a physical reaction takes place: sound energy is converted into energy through the friction arising at the hole edges reducing reverberation times and sound levels at the same time. Reverberation times and sound levels are reduced significantly. Whether in open-plan offices, canteens, swimming pools, production sites or entrance halls – the MICROSORBER® principle of transparent sound absorption allows for creativity in the design of buildings where room acoustics play a crucial role. MICROSORBER® can be installed in front of walls and glass façades and below ceilings. Various systems for fastening the foil make it possible to attach and detach individual elements with ease.